Three successful shopping centres in the Dublin suburbs of Dún Laoghaire, Donaghmede and Clondalkin are expected to attract considerable interest when they go for sale from Wednesday. Joint selling agents JLL and HWBC are guiding €43 million for Bloomfield in Dún Laoghaire, Kilbarrack in Donaghmede and The Mill in Clondalkin, which together will provide an initial yield of 6.8 per cent with lots of opportunities for increasing the return through active asset management. The Project Anchor portfolio will also include a three-storey office building at Lock Road in Clondalkin, which is let to the Department of Social Protection and will be sold as part of The Mill property. A new lease contract currently under negotiation will provide a minimum of 11 years rental income. The three Dublin centres plus the office building now going for sale in one or more lots produce a rent roll of €3 million, with a weighted average period of unexpired leases standing at eight years. The Bloomfield centre, which has traded since 1997, currently produces a rental income of €830,000 from a range of tenants, including Argos, Boots, Dealz and Jack & Jones, which share a floor area of 3,901sq m (42,000sq ft). Anchor tenant Tesco owns its own store. 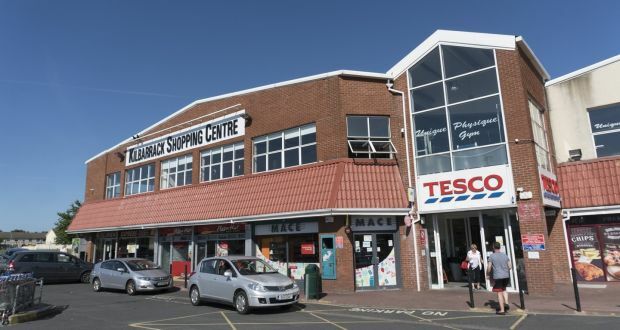 The Kilbarrack centre, located 8km from the city centre in north Dublin, is also anchored by Tesco, which owns the 2,323sq m (25,000sq ft) supermarket. The remaining 3,158sq m (34,000sq ft) is producing rents of €680,000 from a range of tenants including Lloyds Pharmacy, Ladbrokes, Pizza Hut and Clannad Medical Centre. Leases have an average of 9.2 years to run. The Mill has the highest rent, at €1.2 million, and is anchored by Dunnes Stores, which has owned its premises since the centre opened in 1994. There are more than 30 other retail units extending to 3,158sq m (34,000sq ft). The line-up of tenants includes Boots, Specsavers, Lloyds Pharmacy, Carphone Warehouse, Specsavers and McDonald’s. Commenting on the planned disposal of the shopping centres, John Moran of JLL and Tony Waters of HWBC said the collection provided a fantastic opportunity for investors to acquire quality retail and an office asset with attractive lease lengths and returns. The three investments were among six retail centres in the Spectrum Portfolio bought by the US fund Varde towards the end of 2014. Even after the sale, Varde will remain one of the largest owners of retail space in the country, with a portfolio ranging from Blackpool (for sale at €117 million) and Douglas Court in Cork to the Showgrounds in Clonmel, Millfield in Balbriggan and the Dundalk Retail park.